Pod Carnage — Who Is Ron Carnage? 7. A Mailbag and Artwork Updates! The guys answer some “listener” questions about The Thinker Boy, and discuss some super exciting details about the new artwork that’s recently been completed for the novella. This thing is almost available… hold on to your butts. The guys discuss how their Disney Theme Park would look after Tom misunderstands the question, and once they’re back on track, they discuss what’s in store for the sequels. The guys then cast the movie they’ll inevitably be selling to Universal. 4. Ron Carnage: The Antinovel? Tom stumbles on a term he thinks will define the marketing strategy of the novella (or antinovella?) and Pat helps him decide if it’s the perfect word to describe what they’re going for. Tom and Pat talk about the colorful characters that inhabit the town of Leon, how they got their names, what makes them unique. Most of them are written about in the first chapter, so make sure to click the link below to meet them for yourselves! 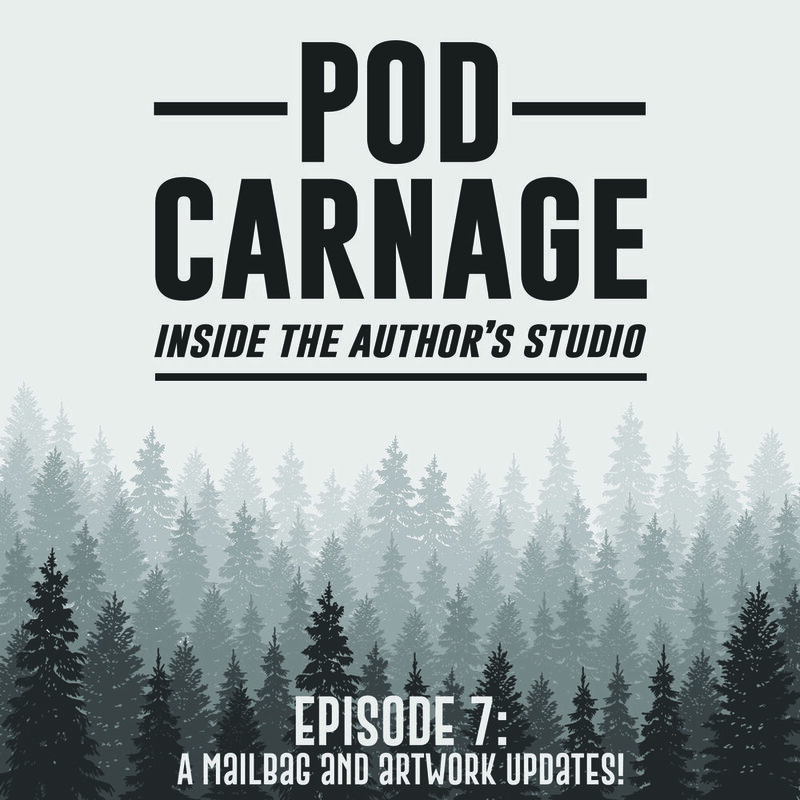 In the inaugural episode of Pod Carnage: Inside the Author’s Studio, cohosts/best friends Tom and Pat talk about the creation of the new novella series, Ron Carnage: The Thinker Boy. The character and novella started off as an improvised question to fill some dead air on their other podcast Reminiscent, and Tom’s answer was something the guys couldn’t let go of. A small team has been working on this project for over a year. Not a single one of them is a writer, author, publisher, or anything useful to this industry, but they’re making it work somehow. This podcast will document the process of publishing their first novel, all that went into it, and some really interesting back story about the characters and where they live.